Diehl of Grove City Proudly Serves the Grove City, PA Area! 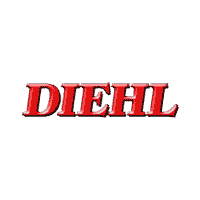 Welcome to Diehl of Grove City! As a premier dealership in Grove City, we are proud to be your first choice for a new or used car in the New Castle, Meridian, Sharon, Hermitage, and surrounding Pennsylvania communities. From the moment you step into our Pennsylvania dealership, we want your experience to be positive. With a wide range of services from the latest new 2019 models to comprehensive vehicle maintenance and repair, we can help you with all of your automotive needs. Let our team of automotive experts help you find, finance, and customize your new car – Visit our showroom conveniently located at 1685 W. Main Street Ext. in Grove City, PA today! We have the latest Chrysler, Dodge, Jeep, Ram models in-stock and ready for you to take on a test drive today! From the powerful Ram 1500 to the adventurous Jeep Cherokee each of our vehicles have the advanced automotive technology, state of the art safety systems, and modern comforts you crave from a new car, truck, or SUV. Shopping on a budget? Our featured new vehicles will give you a high-valued vehicle at a great low price you’ll have to see to believe! View our current inventory online now and then contact us at (888) 856-8465 to test drive your new Chrysler, Dodge, Jeep, Ram vehicle at our showroom in Grove City, PA now! Looking for a gently used car in the New Castle, Meridian, Sharon, Hermitage, and surrounding Pennsylvania communities with incredibly low mileage and in excellent condition? Get exactly what you’ve been searching for at Diehl of Grove City! Our used inventory features popular makes that have been hand-selected by our automotive experts for their incredible features and the value they bring to our customers. As a leading used car dealership in Grove City, we want to make sure that you leave our lot feeling like you’ve made a valuable investment in a trustworthy vehicle – Even if you’re shopping on a budget. Check out our featured used vehicles and then explore all your options when buying a certified pre-owned or used car from Diehl of Grove City – Contact our automotive team to learn more now! We are your trusted auto and loan resource in the surrounding Pennsylvania communities. Our finance center works with respected lending institutions throughout the Grove City area to get you behind the wheel of a new or pre-owned vehicle with a low loan rate and a monthly payment that’s perfect for your budget. Bad credit, no credit, or a first-time car buyer? We can help! Fill out an application online and drive away with the financial confidence and peace of mind you deserve! Get the comprehensive care your vehicle needs at our service and repair center in Grove City, PA. Conveniently located on-site at Diehl of Grove City, our world-class service center can handle all of your maintenance and repair needs. From simple oil changes to complicated engine work, we use the latest diagnostic and repair equipment to service your vehicle in a timely and professional manner. When you choose us for your vehicle’s care you know you’re getting the certified OEM parts your car needs to run at its best on the Pennsylvania roads. Schedule an appointment online now or call our service center at (888) 716-5315 to speak to our certified automotive technicians now! Diehl of Grove City Proudly Serves Pennsylvania Drivers! Thank you for taking the time to learn more about our dealership in Grove City! With the latest Chrysler, Dodge, Jeep, Ram models as well as certified used cars, our lots are filled with great choices for your next vehicle. As a premier dealership for the New Castle, Meridian, Sharon, Hermitage, and surrounding Pennsylvania communities we are dedicated to helping you explore our vast inventory, get you the financing you need and take care of your vehicle’s maintenance and repairs for years to come. Get the positive car shopping experience you deserve – Visit Diehl of Grove City in Grove City today!